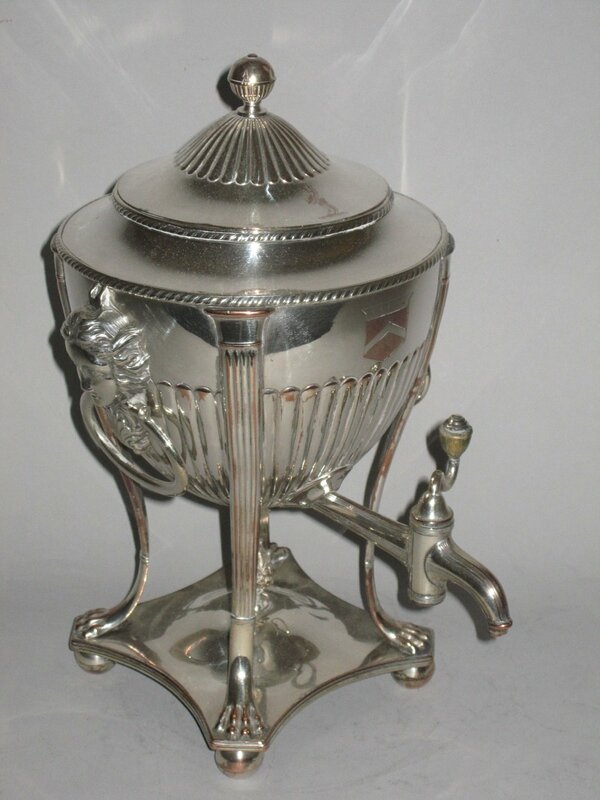 AN OLD SHEFFIELD PLATE SILVER TEA URN. GEORGE III, CIRCA 1800. Of circular form with half fluted decoration, on four fluted legs terminating in paw feet, female mask drop ring handles, a domed part fluted cover with a ball finial, on a shaped square & reeded base on four ball feet. Engraved with an armorial, shield and crest. The shield is that of Sawyer, Sayre, Sares, Seers and the crest is that of Hardy of Toller Wilmer, Dorset.